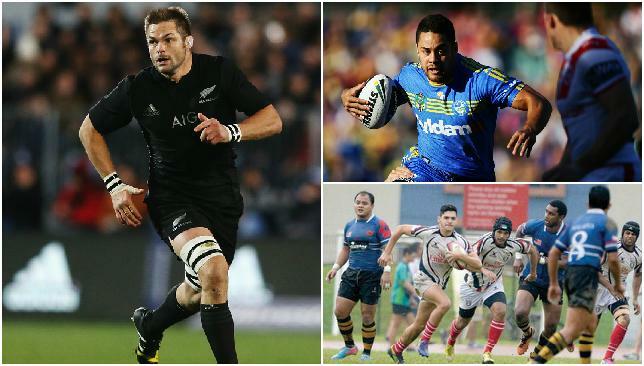 #360rugby: All Blacks retain Bledisloe Cup, Hayne to NFL? Richie McCaw (l) made history becoming the first player to achieve 142 international caps. New Zealand answered their critics after losing to Australia for the first time in four years the previous weekend by routing the Wallabies to retain the Bledisloe Cup. After their 27-19 defeat in Sydney, which handed Michael Cheika’s men the Rugby Championship, the first time in its four-year history it had not been won by the All Blacks, the reigning world champions were somewhat under fire. Then, they demolished the Wallabies 41-13, which sent out an ominous warning to their rivals ahead of the Rugby World Cup starting next month. The match, at Auckland’s Eden Park, was a swansong of sorts for a few of the Kiwi players, including Richie McCaw, Conrad Smith and Ma’a Nonu, who are all expected to retire from international rugby after the World Cup. With that in mind the walloping of the Wallabies was an even more fitting send-off for a trio of players likely playing their last game in the famous black jersey on home soil. It was a particularly poignant outing for flanker McCaw, who played his 142nd international cap, breaking the international Test record previously held by Ireland’s Brian O’Driscoll. He had been typically stoic and focused prior to kick-off but admitted after the game there was “a big lump in my throat” after the final whistle. Australia have surprised a lot of people in this shortened Rugby Championship tournament and look in decent form themselves ahead of the World Cup following a tumultuous 12 months, but the All Blacks displayed their enduring class by retaining the Bledisloe Cup in devastating fashion, extending their grip on the trophy to 13 years, the Wallabies last triumphed in 2002. Speaking of a grip on trophies. No team has ever retained the World Cup in its 28-year history. How fitting it would be for this fabulous New Zealand team, led by one of the greatest players of all time, to become the first to do so on October 31. Could former Australian rugby league star Jarryd Payne be on the verge of stamping his mark on the other side of the world in the ultra-physical and mega rich environment of the National Football League? The 27-year-old is being tipped to make the roster of the San Francisco 49ers after quitting rugby in his homeland at the end of last season in a bid to make it in the NFL. It’s been a testing off-season for the Niners. The five-time Super Bowl champions enjoyed their peak in the 1980’s and 1990’s, winning five Super Bowls, but it’s been a largely tough road since. Under Jim Harbaugh they had resurfaced in recent years, making the Super Bowl in the 2012/13 season, only to be beaten by the Baltimore Ravens, while they made the NFC Championship game the season previously and following their trip to the big one. Harbaugh’s departure at the end of the previous season, however, has been followed by several retirements of key personnel, including veteran Justin Smith, and the surprise retirement of superstar linebacker Patrick Willis, as well as other notable departures, including running back Frank Gore. The Niners ranks have been nothing short of decimated, so it was encouraging to see Payne put in such an impressive debut for his new team on Saturday night in a pre-season game against the Houston Texans. The former Parramatta Eels back was playing at running back for the West Coast side and ran for 63 yards on five carries, including an impressive 53 yard effort that saw him use good speed and agility after taking a hand-off from back-up quarterback Blaine Gabbart. Others were also suitably impressed, Niners’ starting quarterback Colin Kaepernick labelling his growth as “amazing”. Critics believe Hayne has a legitimate chance of making the Niners’ 53-man roster for the season, which starts next month. Hayne had stated as long ago as 2011 his intention to quit rugby league to pursue his dream of playing in the NFL. His dreams appeared dashed as his failure to complete 12th grade in high school meant he was ineligible to play College football in the US. But, in June 2014, NFL star Reggie Bush, now a potential team-mate at San Francisco, viewed Hayne’s rugby league highlights tape and was impressed with what he saw. Hayne announced last October he was quitting rugby league and the 49ers announced they had signed him in March this year as an undrafted free agent. Bush predicted in pre-season that Hayne would make the Niners’ roster. Speaking of players overcoming barriers – Batley Bulls’ captain Hirst deserves even more praise than Hayne, after he revealed he was gay. The 27-year-old led his team out at the Fox’s Biscuits stadium in Batley, West Yorkshire, on Sunday against the Dewsbury Rams, doing so as the first British rugby league professional to come out as gay. Ian Roberts was the first Australian rugby player to come out in 1995, while Welshman Gareth Thomas is the highest-profile player to have said he was gay while still playing the sport, making his announcement in 2009. Hirst had recently split up with his wife, with whom he has two children. Hirst has received a barrage of support from across the rugby community, including Rugby Football League chief executive Nigel Wood, who congratulated Hirst but said he hoped that one day it would not be considered exceptional for a player to announce they were gay. I’d just like to say a big thankyou to everybody who’s taken the time to send all these best wishes.It’s very humbling and much appreciated. Playing rugby is indeed a tough man’s sport, but what Hirst has done is tougher than almost anything any man will encounter on a rugby field. It’s more disappointment for the UAE who, unlike performance manager Roelof Kotze suggested recently, appear to be going backwards. 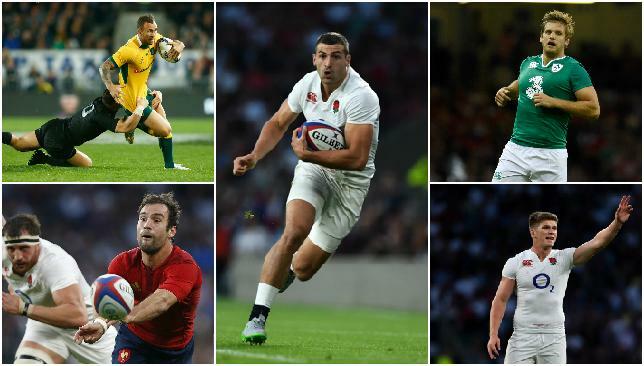 For the 15-a-side national team 2015 has not been a bad year. In May they won two of their three games in the revamped Asia Rugby Championship, an agonising 20-19 loss to Malaysia seeing them remain in Division II for another season, while the victors were promoted to Division I. For the UAE it would have meant an immediate return following their relegation in 2014, but the signs were promising. It seemed the same was true of the UAE Under-20’s sevens team ahead of their appearance in Malaysia over the weekend at the Asia Rugby U20 Sevens Series. Kotze had spoken of seeing an improvement in his squad in training ahead of the tournament, following their sixth placed finish overall in the Series last season. The South African had been targeting the medals at both legs of the Series (the second to be played in Hong Kong next weekend) and had spoken of the need to finish at worst fourth. They actually finished seventh of eight teams in Jopor, winning two and losing four of their games in the Far East. Judging by results alone, compared to their last outing in Hong Kong in December last year, it doesn’t look, at least on paper, as if the improvement has been made. In December the UAE lost two of their seven games, but three defeats came by two points. In Malaysia over the weekend, the UAE lost 28-5 to the host nation on Saturday in their opening game, improving to lose a close encounter 19-17 to Singapore in their second game, which also saw two players sin-binned. They finished the day on a high, beating Kazakhstan 24-19 in their final opening day game to set up a quarter-final clash with Sri Lanka. However, day two yielded the same results, two defeats and a win, the latter coming in the consolation seventh-eighth placed play-off, against Kazakhstan, which they won 22-15. The lost 33-7 to Sri Lanka and 26-7 to Thailand, who hadn’t won in four games before facing the UAE. The players remain upbeat and are staying positive ahead of Hong Kong and, who knows, they might well be improving. Results can be deceiving and they might well be building something special. I certainly hope so because the group of players I spoke to before they departed for the tournaments were upbeat and excited to be playing for their nation or adopted nation. Kotze believes in this project and so do the players. I desperately want them to succeed too. 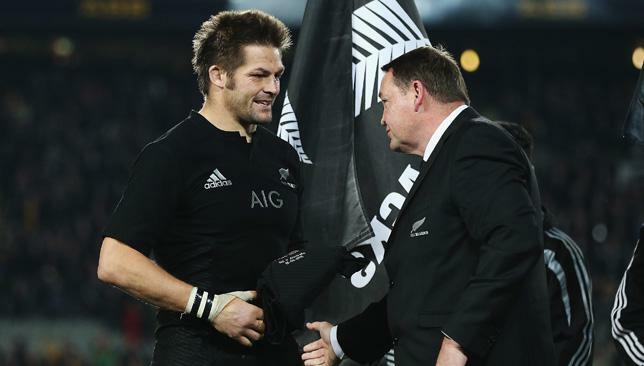 Steve Hansen congratulates Richie McCaw after achieving his 142nd international cap. All Blacks captain Richie McCaw, who is expected to retire following the World Cup, will again be offered a knighthood to honour his illustrious career, New Zealand Prime Minister John Key said Monday. McCaw turned down an offer to be knighted after leading the All Blacks to victory in the 2011 World Cup saying it was not something he would consider while he was still playing. But as New Zealand celebrated his record 142nd Test when leading the All Blacks to a 41-13 win over Australia at the weekend, and with retirement expected in two months, Key said there was no doubt a second offer would be made. “Whether he would take one, I don’t now. The offer was there before and I can’t imagine anything has changed,” Key told TV3. McCaw has declined to talk about his future beyond the World Cup starting in England next month but Graham Henry, who was knighted after coaching New Zealand to the 2011 World Cup crown, described him as a natural leader. “He’s very bright, very resourceful and very brave. You put all that together and players play for him. He leads from the front,” Henry said. Henry said he “wouldn’t be surprised” if McCaw resumed his studies once he retires. The 34-year-old was part-way through a degree in agricultural science before becoming a full-time rugby player. He has since become the world player of the year three times, only lost 15 of 142 Tests played, and led New Zealand to win the World Cup four years ago while playing on a broken foot. He has kept the All Blacks at the top of the world rankings since November 2009.